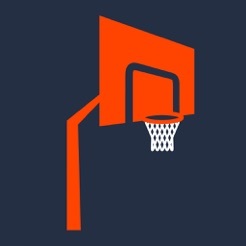 Best app for basketball players. 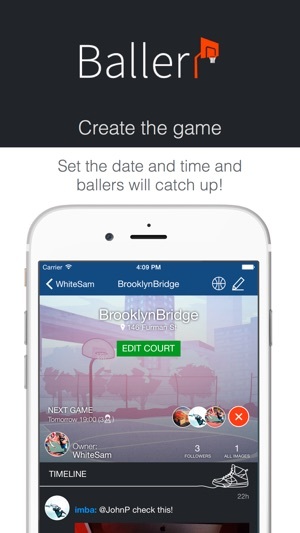 With Baller you can find a court where a lot of people play today, tomorrow, the day after tomorrow. 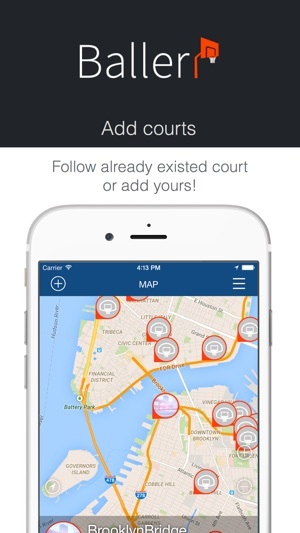 - Subscribe to the existing courts, or add your own! 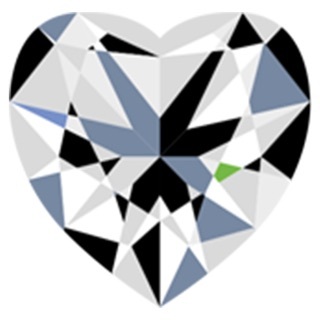 - Set the date and time of the game, and Ballers will catch up! 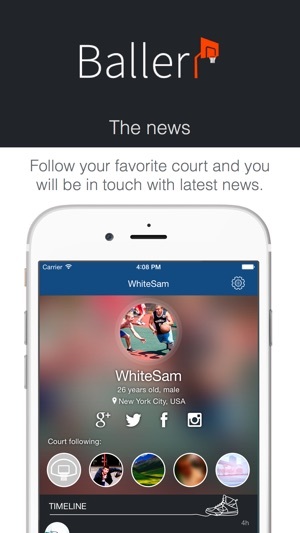 - Subscribe to your favorite court and be aware of all the action! 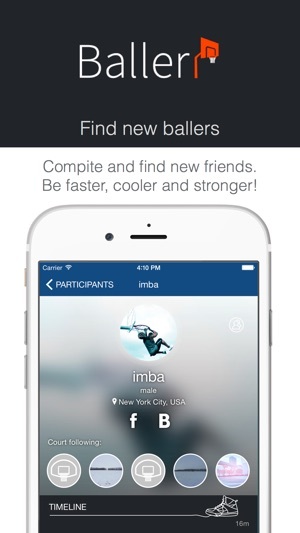 - Compete, search for new friends. Become faster, cooler, stronger!